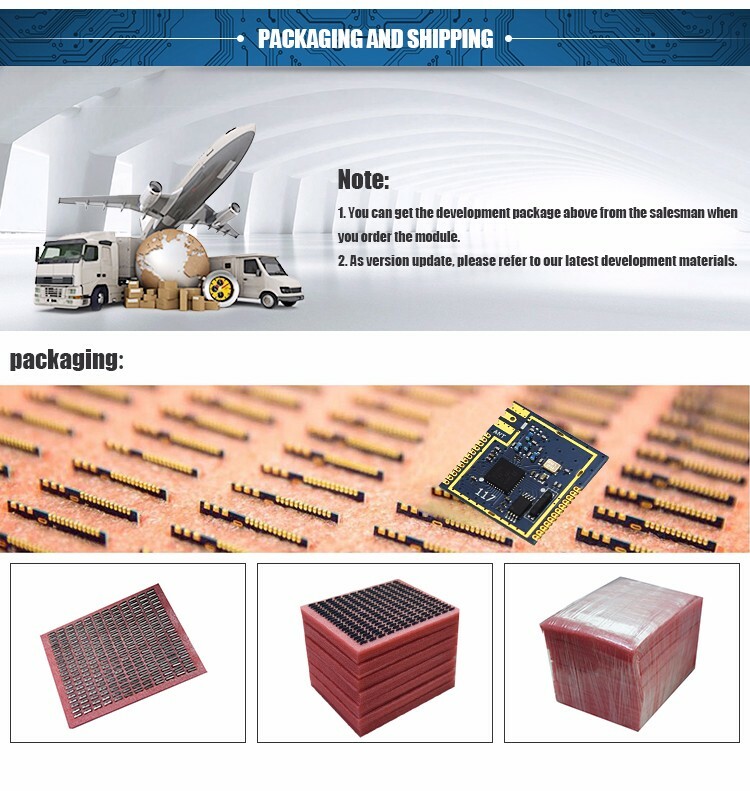 VT-CC1110PA-433/470/868/915M is based on RF Transceiver CC1110 of TI Chipcon,it’s a small size and ultra low power UHF wireless module. 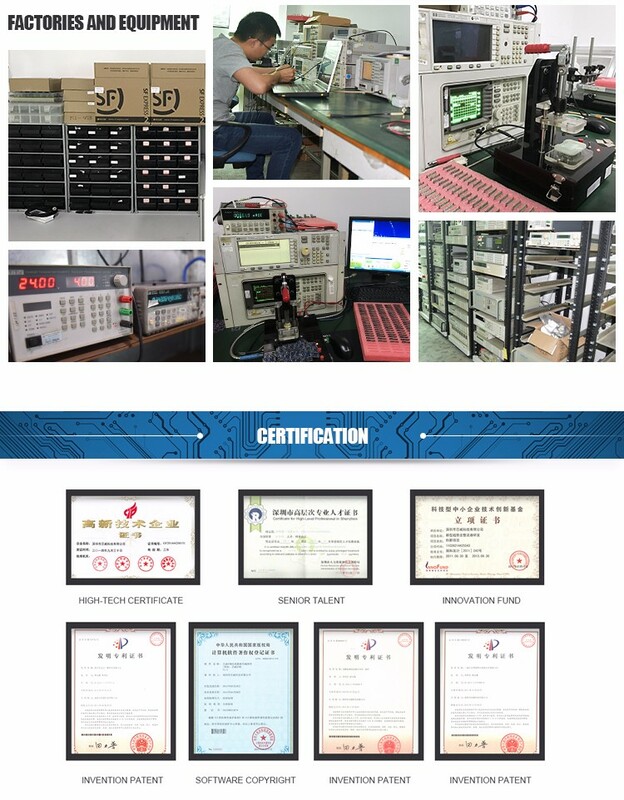 combines the excellent performance of the state-of-the-art RF transceiver CC1101 with an industry-standard enhanced 8051 MCU. 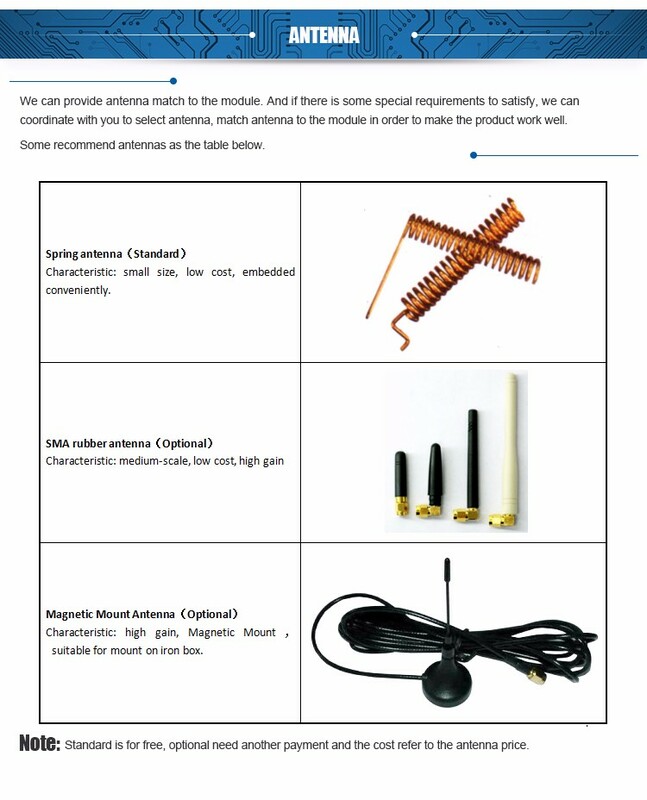 The circuit is mainly intended for the ISM (Industrial, Scientific and Medical) and SRD (Short Range Device) frequency bands at 315, 433, 470,868 and 915 MHz, The MAX RF output power can be set as high as +20dBm, with data rate as high as 500Kbps. 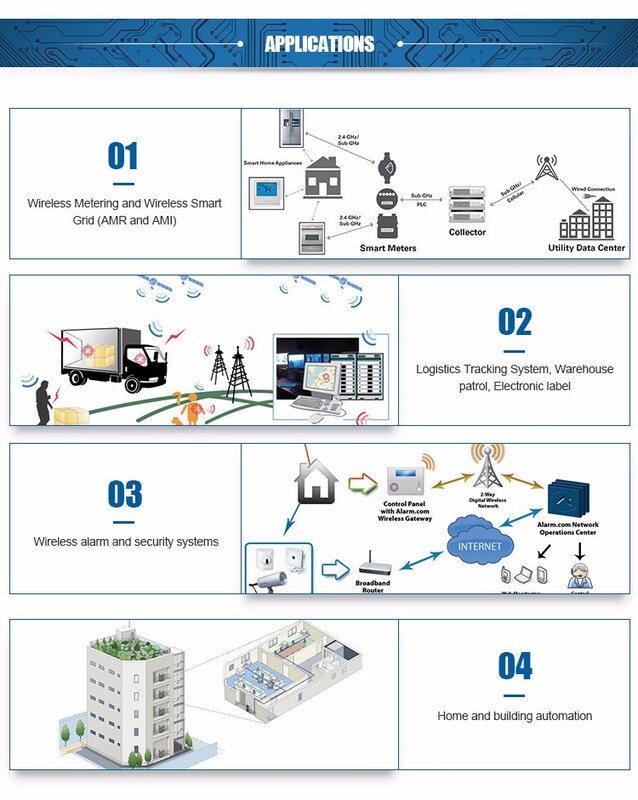 The module integrated many RF functions thus you can use it conveniently and reducing your development time. Except the TX mode you have to set the PA control voltage at TX mode, the PA control pins should be set at RX mode to get a low power consumption. 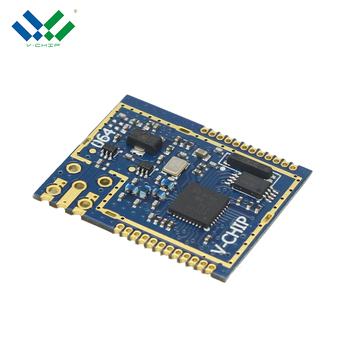 The module integrated 2~64KB EEPROM, the interface is I2C, and CC1110’s pin P2.1 and P2.2 are used as EEPROM’s clock(SCL) pin and data(SDA) pin. 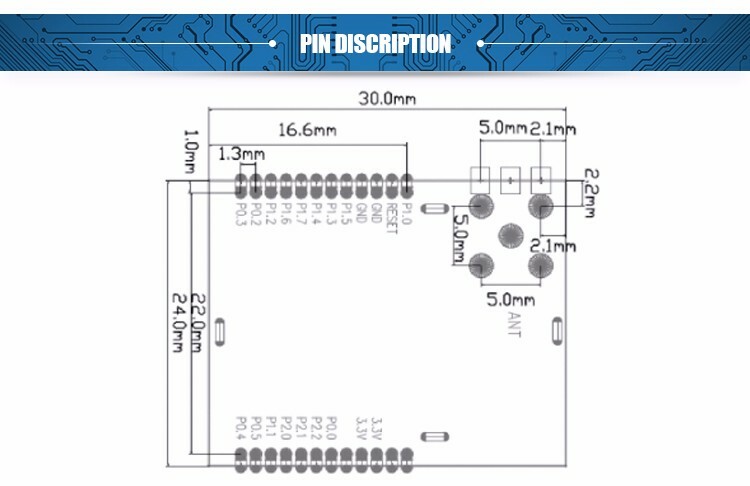 These two pins are also debug pins, so the EEPROM doesn’t support IAR. 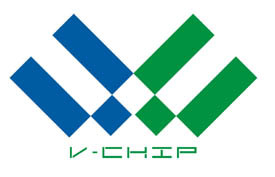 If you purchase the module integrated EEPROM, we will provide the read/write code. 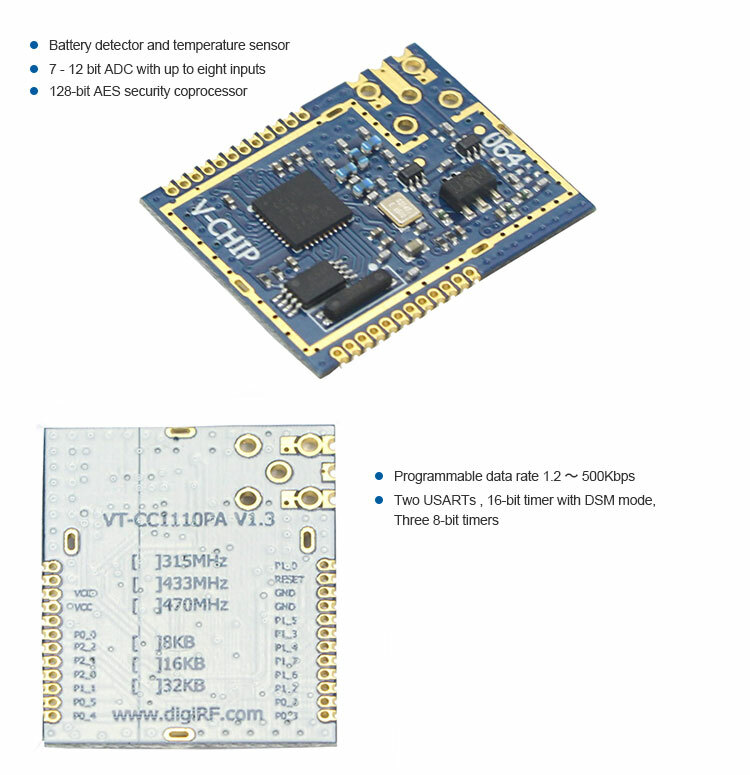 CC1110 integrated 8051 microcontroller core support IAR, the debugging interface include clock pin P2.2(DCLK) and data pin(DDA), you can connect these two pins to the simulator interface on the programming, detail information refer to CC1110 datasheet. 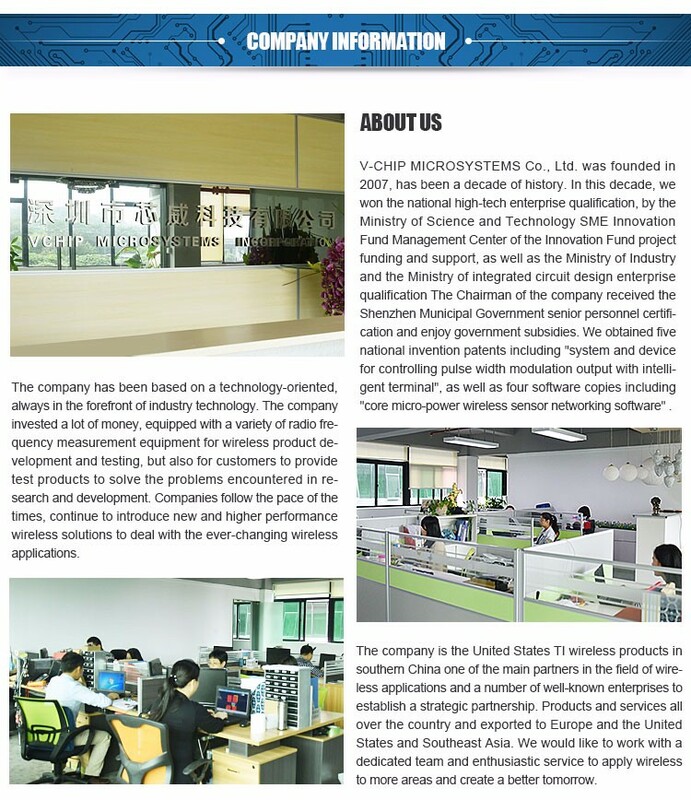 CC1110’s port P1.0 and P1.1 can supply 20mA current to drive LED directly, detail information refer to CC1110 datasheet. 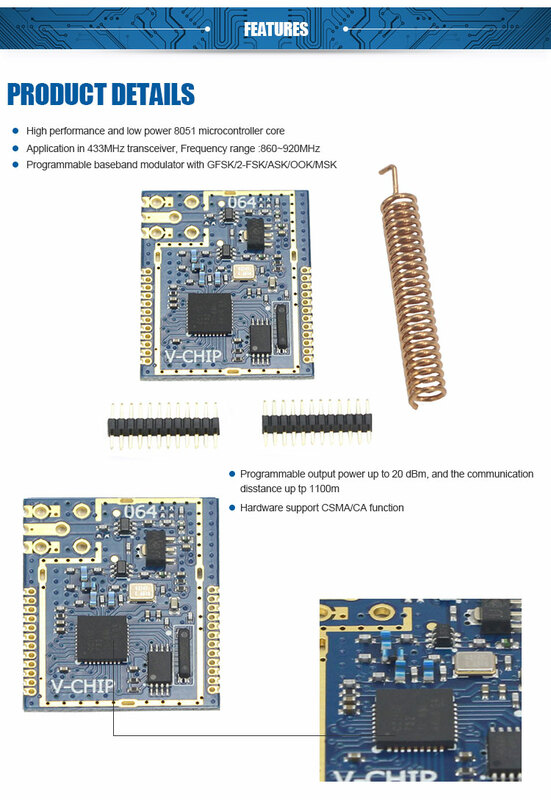 CC1110’s port P1.5, P1.6 and P1.7 are configurable pins that can output internal status information useful for control software. 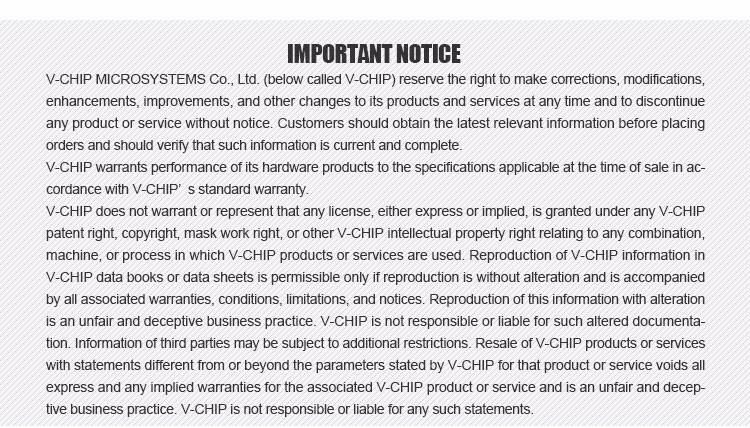 More details refer to CC1110 datasheet.